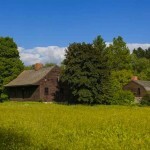 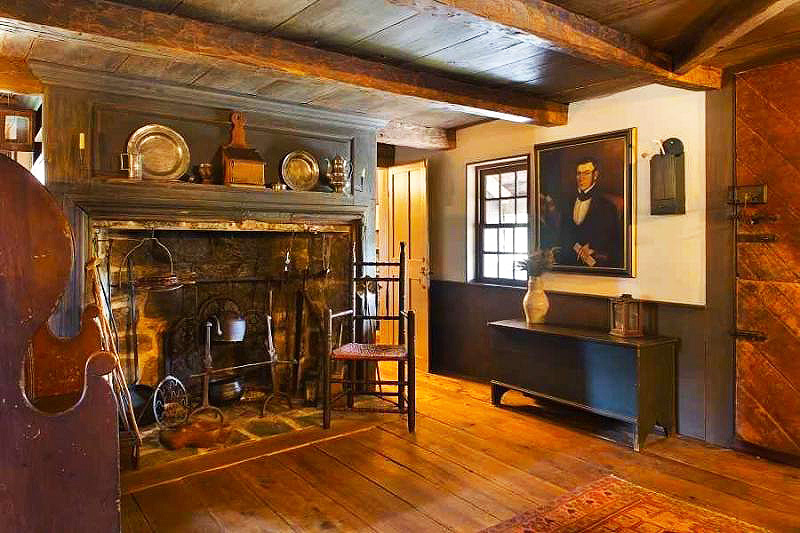 The Hall Christy House was built by Peter John Hall, an early Hudson Valley settler and a Quaker. 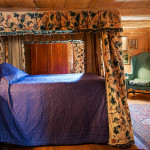 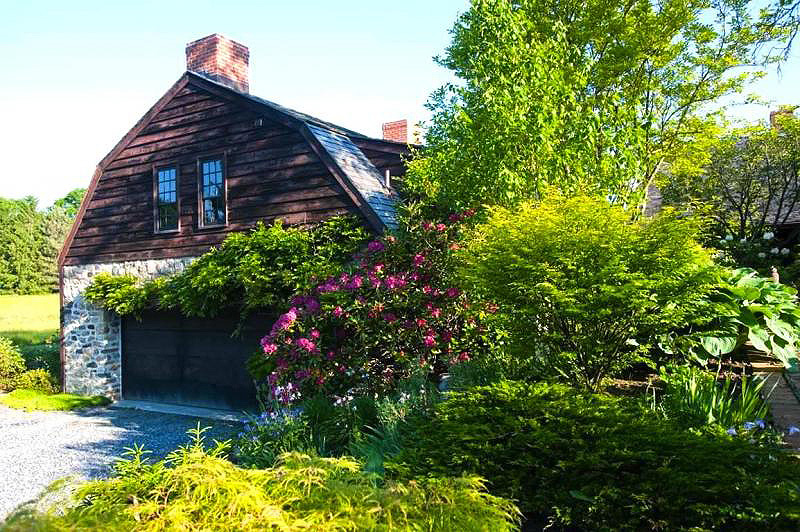 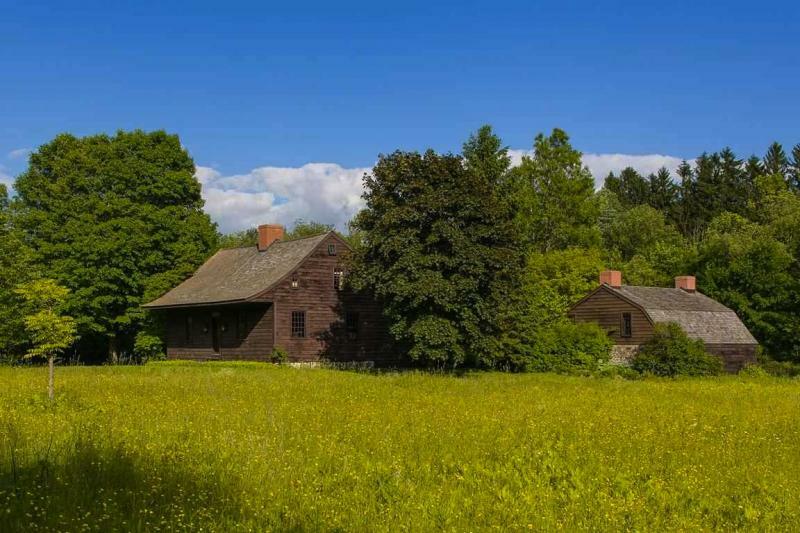 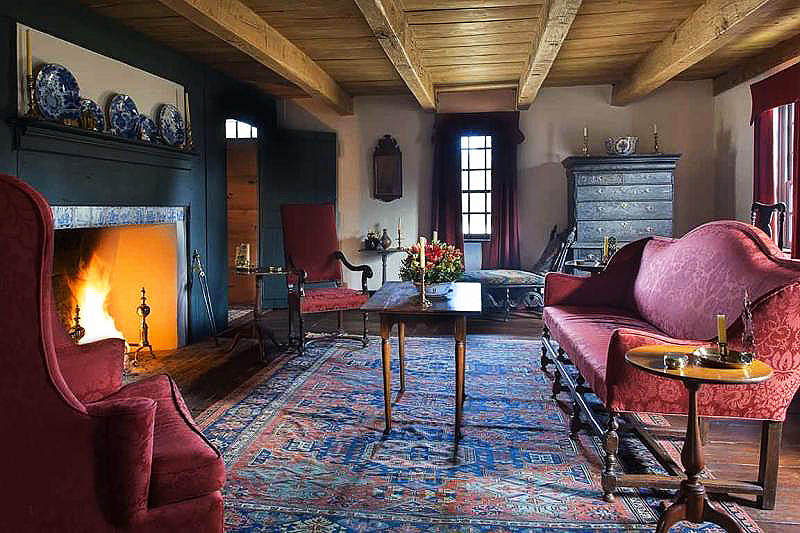 Originally it was a single-room home built in the Dutch H-bent tradition, but in 1760 Hall put on an addition. 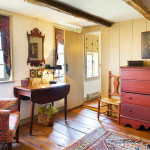 One of Hall’s granddaughters, Ruth Christy, took the house over from her father in the early 19th century, earning the home its current name. 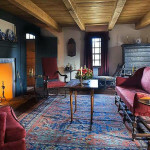 It stayed in the Christy family until the 1940s, at which time it sat vacant until the current owners purchased it in the ’80s. 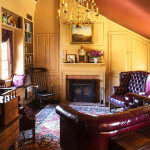 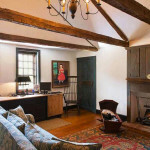 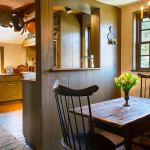 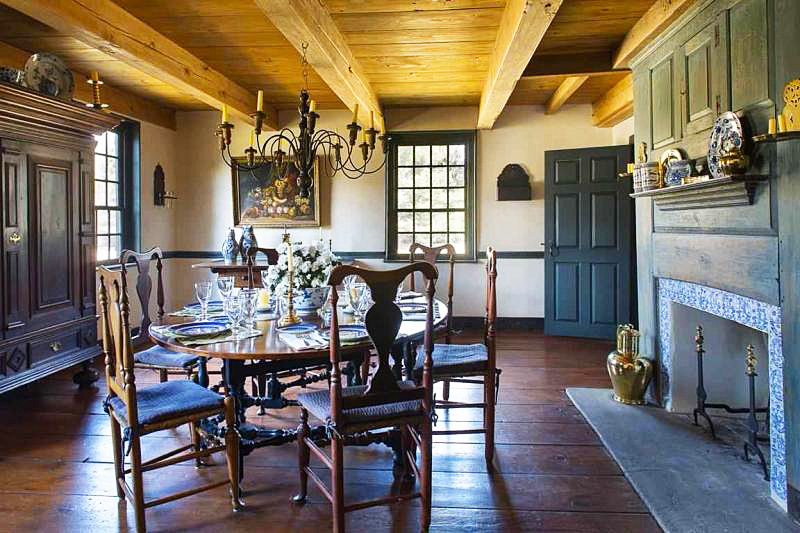 Inside, the owners restored the original paneling, oak floors, aged beams, vintage window glass with the family initials etched in, original Hudson Valley paint, Dutch tiles, and original hardware. 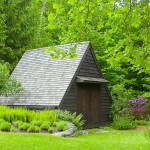 The Skidmore House is now a garage and potting shed on the first floor and a guest suite and office on the second. 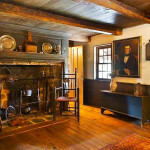 In both houses, the owners have collected original family documents and furniture, which adorn the homes. 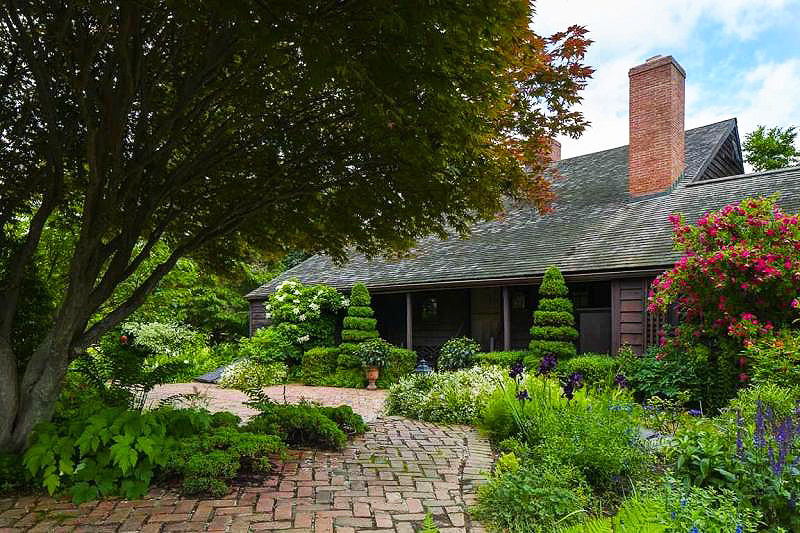 Though we love the perfectly preserved interiors, we really can’t help being partial to the amazing outdoor space at the Hall Christy House. 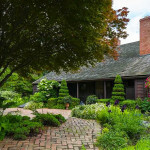 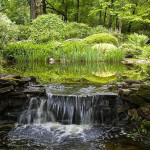 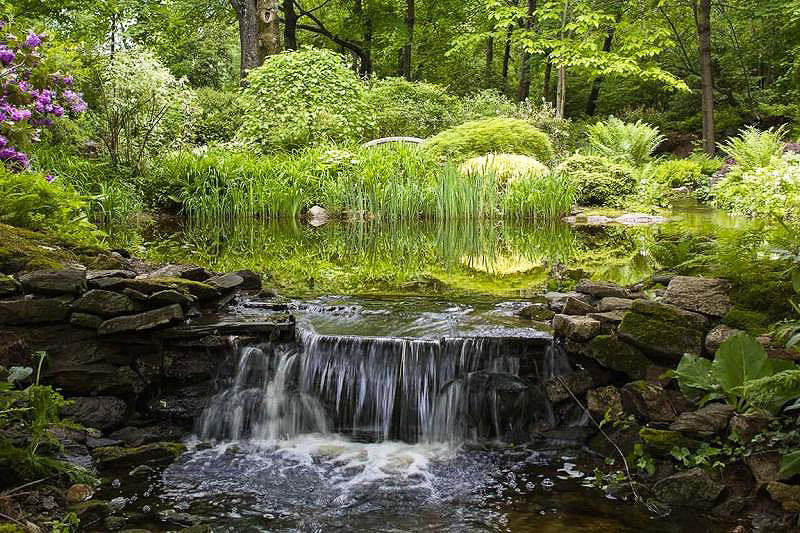 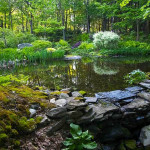 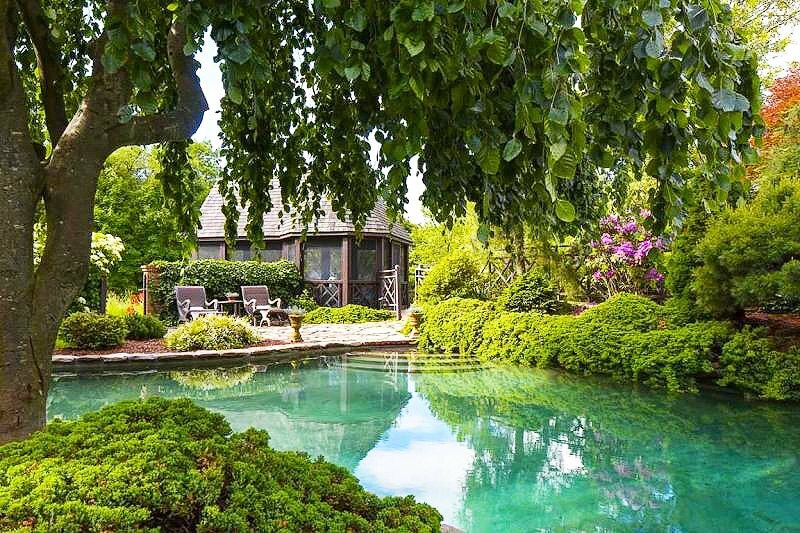 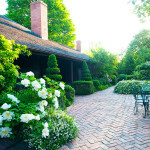 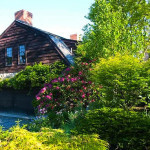 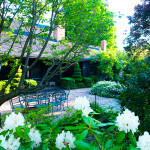 It’s been featured on many garden tours, and we can certainly see why.